My name is Ryan. 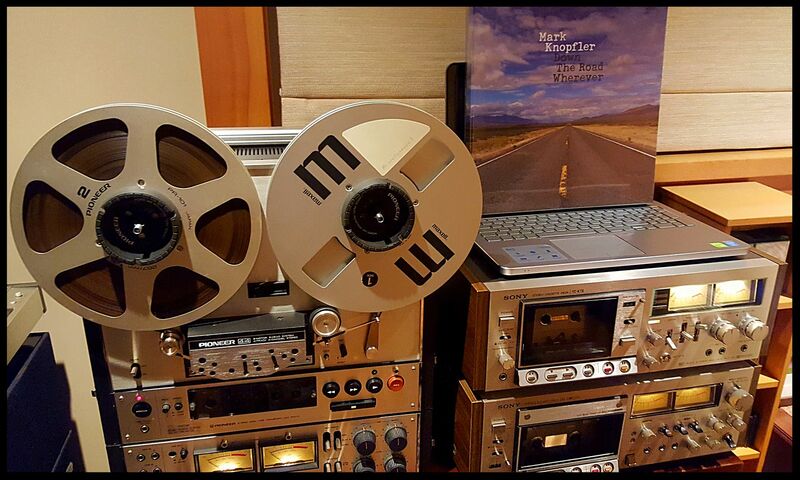 I'm a huge reel to reel fanatic, audiophile, and analog lover in general. Mr. Sam Palermo @Skywavebe introduced me to this site after a very pleasant phone conversation with him last night. I hope to meet some new friends while I'm here, and enjoy some threads also! 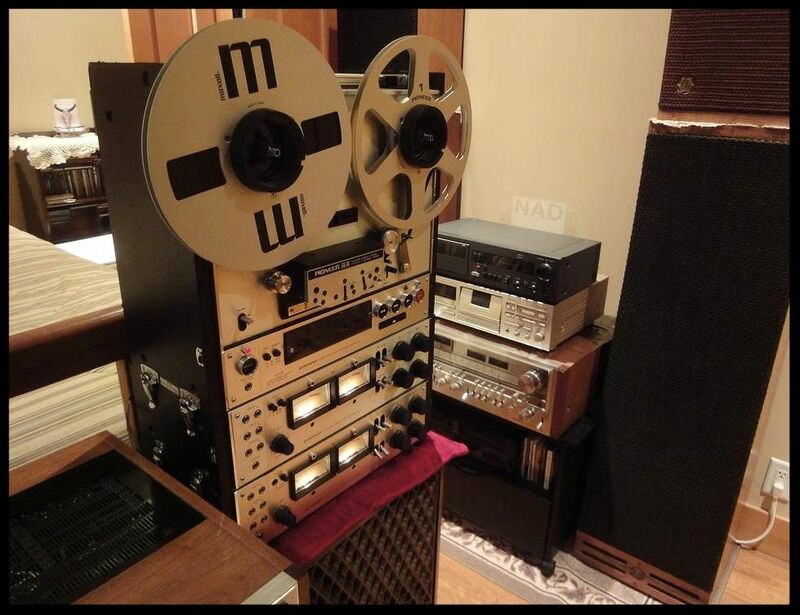 P.S.- My reel to reel collection: TEAC A3340S (my favorite machine,) TEAC A1200U, Akai 1720L, Roberts 997, and a broken Roberts 1725. I have two Teac A-2340s (one has a reel table to install) and I used to have a 3300-10T. I also have a Revox A-77, Sansui SD-5050, Pioneer RT-707 and 909. There is a Sony TC-230 in the shed, and I've owned a couple-three Akais including GX-636, one tubed Roberts equivalent and one with the eight-track recorder. Welcome to Phoenix Ryan. Many R to R fans here to dialogue with. Don't be shy - jump into any thread....no one bites here (well almost no one). Alrighty! Thanks for the welcome. Well, yeah, but it's a tiny house and the Pioneers, Sony and one Teac need to be serviced. The 3300 developed some kind of transformer problem (delamination? That and every Advent 201 I ever owned started to SING). I have two Teac A-2340s (one has a reel table to install) and I used to have a 3300-10T..
Steven, You've had that 2340 for at least three years, maybe longer. Fix that darn thing before it needs to be overhauled. I had various people telling me it was above my pay grade. Also I haven't figured out how the hell to get it apart without making a huge muck of it. I've had it explained, but no, it hasn't come to me. The last repairman I had retired before I got it, his diabetes *likely his meds forced an amputation at the knee and he left town. We have idiots for customers who bring stuff, the poor guy fixes it and they would stiff him and retrieve it with an igneous door key (i.e. a rock in the window). Basically nobody wants to fix stereos anymore. Hi Ryan: Nice of Sam to direct you here. Welcome to our forum. I haven't been fooling around with open-reel as long as some other members on this forum. I got into it in about 2006-7. Being a big Pioneer fan, I have three of those, and sold off a couple of Akais - a GX-4000DB and a GX-747. Currently, I have a Pioneer RT-707, RT-909, and, most recently, RT-2044. I have a couple of others, too, but they're not being used regularly. What else have you got in the respect of system components? Very nice collection! What do you mean by "system components?" Nando , between the top and bottom pics of the 2044 I see the control button rings are missing in the bottom pic...what up?? Thanks, Lee. Not too many of us members owning one. Ryan: Speakers, amp, other playback/recording sources, processors, etc. Speakers: Epos ELS-3, JBL LSR305, receiver: Pioneer Elite VSX-49. Turntable: Denon DR-15F Cassette: Sony TCK-555, Guitars: Squier Tele Affinity Race Green, Squier Tele Thinline, Dean Boca 12 string amberburst, Seagull Entourage Rustic, Eleca ES-335 copy, Samick HJ 650, Norman B12, Gibson C0, Regal RC2, Schecter Custom 4 bass, and a Le Sevillana classical.